Team Barefoot, Endurance Horses, meet Halim! 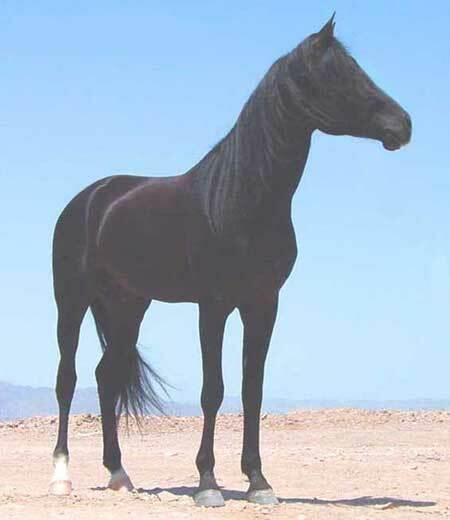 Halim El Mokhtar is a black, pure bred Arabian Stallion born in 1996 and owned by Kirt and Gina Lander. He is a great grandson of El Mokhtar who was in the movie "Return of the Black Stallion". Halim is of Egyptian and Crabbet breeding, never shod and has an exquisite mind. He stands a leggy fifteen and one half hands tall and weighs about 850 pounds. While he is average in size for an Arabian he is incredibly strong and capable of carrying a heavy rider in 25 mile limited distance endurance rides but is mostly ridden by 130 pound Gina Lander. Color Country Endurance ride 2002, 25 miles, 130 pound rider, 6th place. Coso Junction Jam 1 2002, 30 miles, 130 pound rider, 2nd place. Gamblers special 1 & 2 2003, 35 miles, 130 pound rider, 5th place. Color Country Endurance Ride 2003, 50 miles, 130 pound rider, 8th place. Coso Junction Jam 1 2003, 30 miles, 130 pound rider, 2nd place. Fire Mountain 2004, 50 miles, 130 pound rider, completion. Land Of The Sun 2004, 50 miles, 130 pound rider, completion. Escalante Grand Staircase 2004, 50 miles, 130 pound rider, completion. Color Country Endurance Ride 2004, 50 miles, 130 pound rider, completion. Note: Kirt and Gina Lander's strategy with Halim for 2004 is to complete as many miles as possible rather than going for high placings. Their sights are set on a top ten finish for the National, Jim Jones Stallion Award for years end. 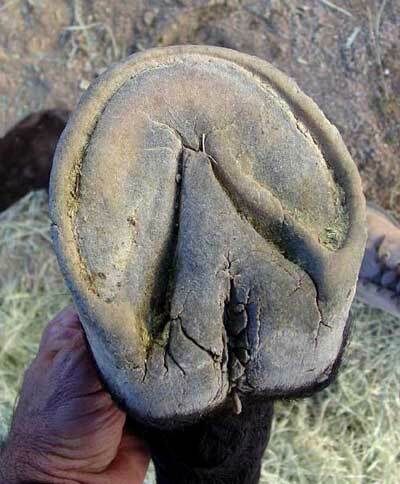 Halim is a real rock stomper exhibiting nice big round hooves and great soles with hoof form similar to that of wild horses. 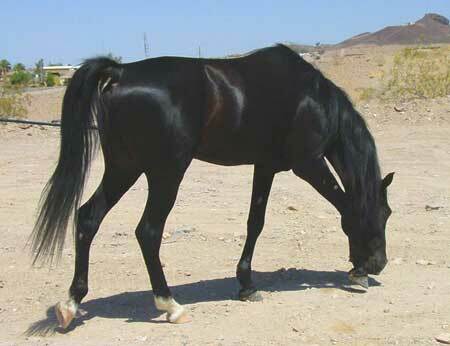 Example of Halim's front hooves.